"Stand Still. 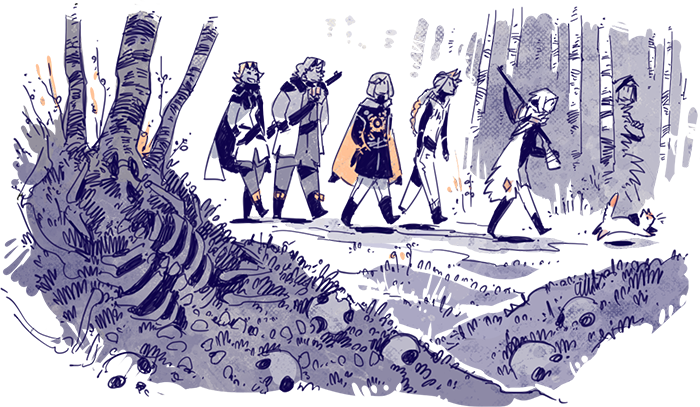 Stay Silent" is a post apocalyptic webcomic with elements from Nordic mythology, set 90 years in the future. It's a story about friendship and exploring a forgotten world, with some horror, monsters and magic on the side. 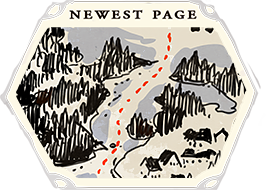 New page every Mon Tue Thurs Fri.
Start reading from page 1! 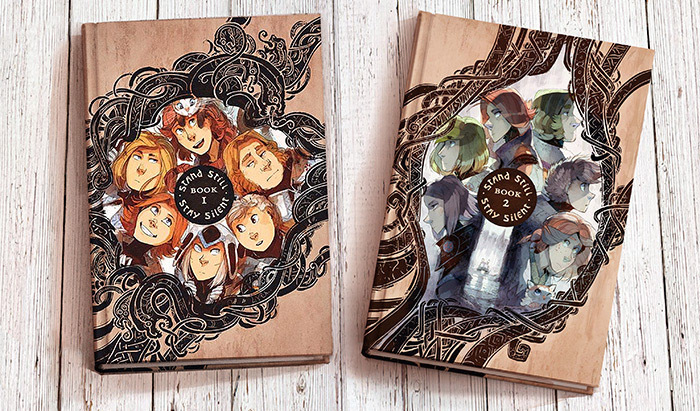 The first two volumes of the comic are also available as big beautiful hardcovers (~300 pages each), published by Hiveworks comics, and you can buy them from the online shop. Book 3 is planned for 2020! There's also prints, stickers, t-shirts and other cool stuff. For those of you who wish to stay up to date on the important updates about my comics without having to depend on social media I've set up the classical, time-honored, handy-dandy email Newsletter! Add your email to the subscription list below and you'll get an email from me every month or two about the most important news. Subscribe to the not-quite-Monthly "Flooffy Hummingfluff Newsletter"! -A chapter break ends and the new chapter begins so you don't miss the kickoff. I'll also include a link to the beginning of the previous chapter for those of you who enjoy binging each chapter as they are done. 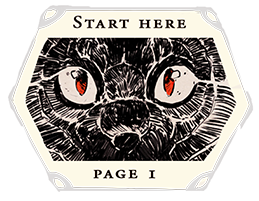 For the day to day page postings and little things you can follow the comic on twitter or facebook! Thank you for reading my comic!